“My friend Wayne…prayed through the entire Bible with each of his children in mind, starting with his oldest son, Timothy. He circled and underlined verses that were Timothy-specific. He wrote notes in the margins. He literally prayed every promise for his children. Then a few weeks before Timothy graduated from high school, Wayne planned a special event at a nearby restaurant…a handful of influencers in Timothy’s life presented him with gifts…But the most significant moment and the most significant gift, came when Wayne gave Timothy the Bible. In Wayne’s words, “My greatest joy is knowing I have prayed every word of God, every promise of God, with Timothy in mind.” Wayne said it was one of the few times in his life when he saw grown men sobbing uncontrollably.” (pp. 98-99). When I read those words, I was awestruck. There are many gifts we give our children over a lifetime. Most of us will leave things to our children when our journey on earth has been completed. But every single one of those things is temporary. They will get old, break, rust, lose their value. What if we leave them the ONLY thing that will remain forever: God’s Word? There is no greater gift, no greater legacy! I am much less concerned about leaving my kids my legacy (which is that I am a sinner who has been saved by radical, breathtaking, extraordinary grace) than in leaving them with One Name forever imprinted on their hearts and minds: JESUS. I can think of nothing more wonderful than to leave them each with a Bible that has been selected by my hands. Read over. Prayed over. Highlighted. Underlined. The margins filled with my handwriting, recording my deepest prayers for their lives. A precious gift that will be with them for the rest of their days to guide, encourage, equip, and strengthen them for the journey. In doing so, I will be giving them an eternal gift. His Words that He breathed onto the pages of the Bible so that all of us could know and experience Him, will live forever. 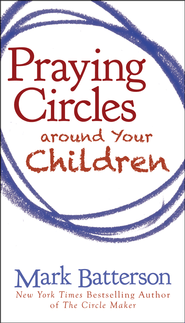 The single most valuable gift we can give our children is our prayers…Scripture soaked, Gospel-intoxicated prayers. Anything else that we do for them on this earth will end when we take our last breath. But this gift—of His Word and of our prayers—will continue on, long after we have left the scene. Why? Jesus has promised that He hears every single prayer that His followers pray to Him. Regardless of what we feel or what we can see, our prayers ascend directly to the center of His heart. And because He is eternal and His throne is eternal, our prayers remain long after our work on earth is done. I have lived long enough to know that this life can be heartbreaking. My children will also know heartbreak as they live out their own stories. I want to leave them with a solid anchor, the one thing they can touch and see that will breathe life into their very souls: God’s Word. There is truly no more beautiful gift. The good news is that it is never too late! Even if your children are grown, you can still do this for them! You can do this for your grandchildren! Nobody on the face of this earth loves your children as much as you do. Begin today by leaving them an eternal legacy. Purchase those Bibles and begin your journey deep into the heart of God on behalf of your precious children. This is FAB! I think a lot of parents will now be doing this after reading this blog. And not only will our kids benefit, think of how our souls will be watered with Living Water as we read and pray through the entire Bible. It’s a win/win! His Word always is! What a wonderful idea…wish we’d done that before most of our kids graduated! But we still have time before college graduation (or weddings). PS. I love Jackie’s comment!